ADHD diagnosis with an inadequate response to ADHD medications. ADHD diagnosis in a child with other symptoms such as anxiety, obsessions/compulsions, anger, social-interaction challenges, mood issues as examples. A NEBA that confirms a child has ADHD may convince apprehensive parents to try ADHD medications for their child. 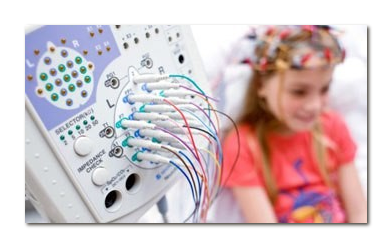 If a child is diagnosed with ADHD who also has frequent staring spells, we recommend an initial routine EEG to rule out the presence of Absence seizures as the NEBA is not valid in individuals who have an abnormal routine EEG. For more information please visit NEBA Health.